It’s the Friday before Thanksgiving so my lucky guess for today is that there are fewer and fewer thoughts about our exterior spaces and more emphasis on indoor activities. With the weather changing and our gardens getting ready for that yearly nap, there’s been a lot of digging from my archive images. Today’s photo serves as a quick reminder of the language of flowers. Why choose Crocuses? These bulbs symbolize cheerfulness and who can’t use a bit of that on this rainy Friday? When we plant bulbs in the fall, this is often what our eyes spot first. As our garden starts to wake up, these lovely blossoms begin popping from the earth in late winter/early spring. The cheerfulness starts to spread and soon all the beauty of spring is upon us. 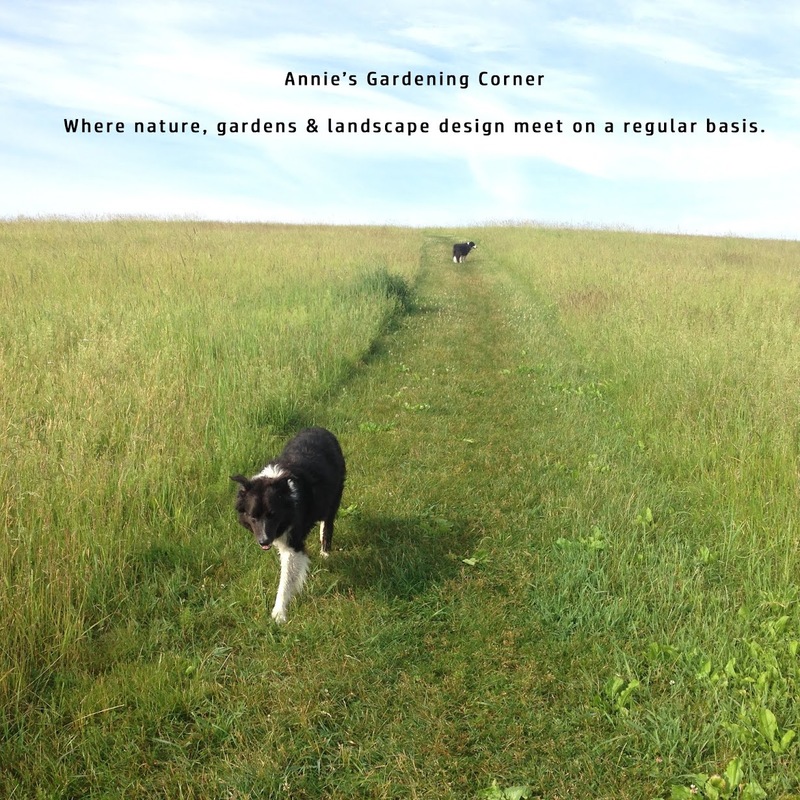 Today's image from the Annie archives has a bit more magic and meaning on this November morning. Today might be one of the last days we can actually plant bulbs outdoors before the ground freezes. Remember there are several bulbs that make wonderful holiday gifts to force in the middle of winter, adding cheerfulness throughout the season. Amaryllis is one of my favorites. But back on track for those following daily; you know that today is day 4 of 26 Days of Kindness. On day 4, we honor Lauren Rousseau. She is the first teacher/adult and she had many interests including music, dance and theater. She loved teaching children and was like a big kid herself. The reason this image seems fitting today, well, what matters most is what you see. 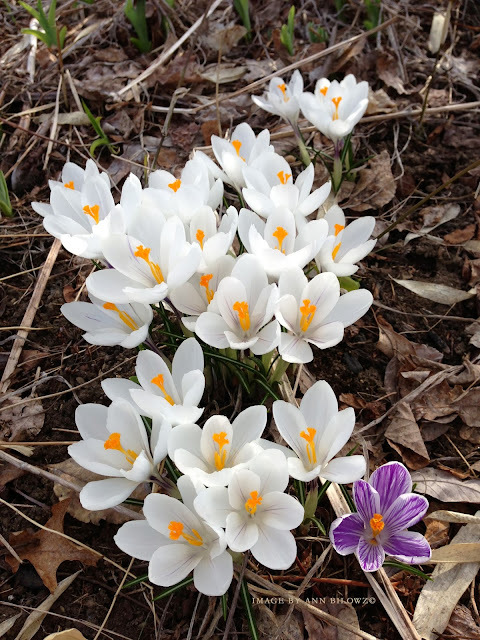 But I see one unique Crocus amongst all the beautiful white blossoms, like a teacher often is to her students. Today might be a perfect day to thank a teacher, a mentor, or just someone who takes the time to extend some extra knowledge to you in your workplace. Or maybe it’s someone who opened your eyes to something you never would have dared to try and you tiptoe around the ways to say thank you. As G.B. Stern reminds us during this month of November, “Silent gratitude isn’t much use to anyone.” So get out those pens and write a thank you. Once again for anyone just joining in, you can find the FB event and Page created by Ashley Petersen. And for those who do read this post on a regular basis, I am making an exception to my rule. Usually this is a daily blog but not on the weekends. Because these days of kindness don’t stop for weekend or holiday breaks, neither can I. Be sure to check back here if you want to continue these acts of kindness over the weekend and throughout the Thanksgiving holiday. And thank you to Mrs. Mahoney. You are the reason I write. P.S. Sorry for any run-on sentences or other grammatical errors within my posts; I may not be editor material but one thing you taught me in English was to never lose my creative spirit.